This pretty little church sits on a mound above the road between Loddon and Seething, which has cut down beside it as the centuries have passed. 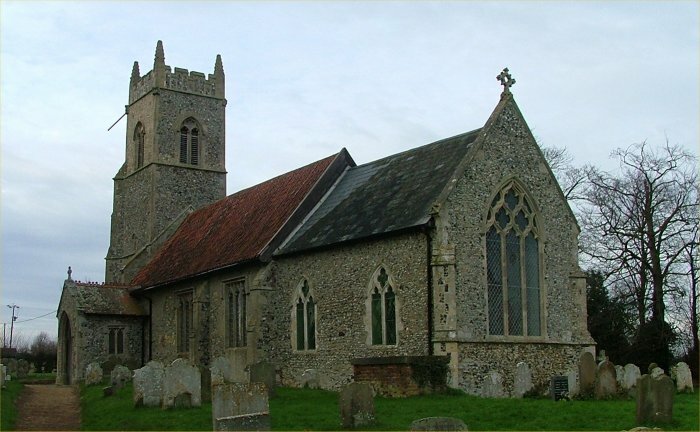 There were two parishes in medieval times, and the ruins of St Ethelbert sit about half a mile away to the east. The parish church of Seething is much closer, a couple of fields to the west. St Peter is very small, its typical late medieval massing creating an illusion of size. 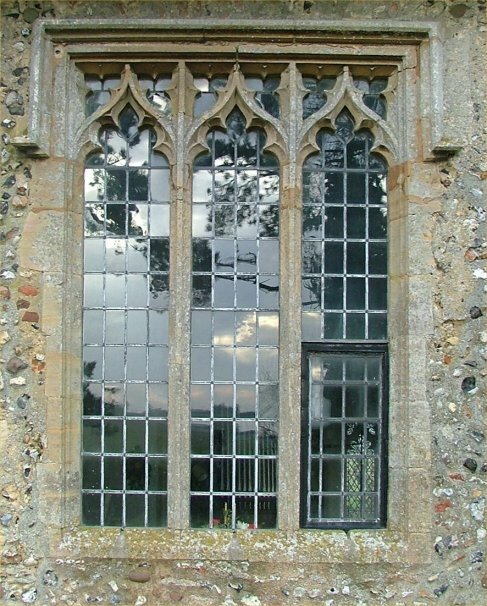 As at Seething, there is a fine early 14th century chancel, but here there was great enthusiasm on the eve of the Reformation, when the nave windows were all replaced. 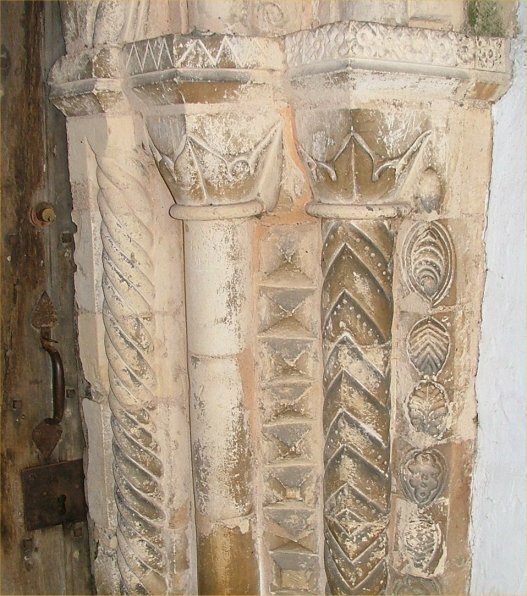 St Peter is most remarkable for its Norman south doorway, a festival of scrolls, leaves, zigzags and rolls. 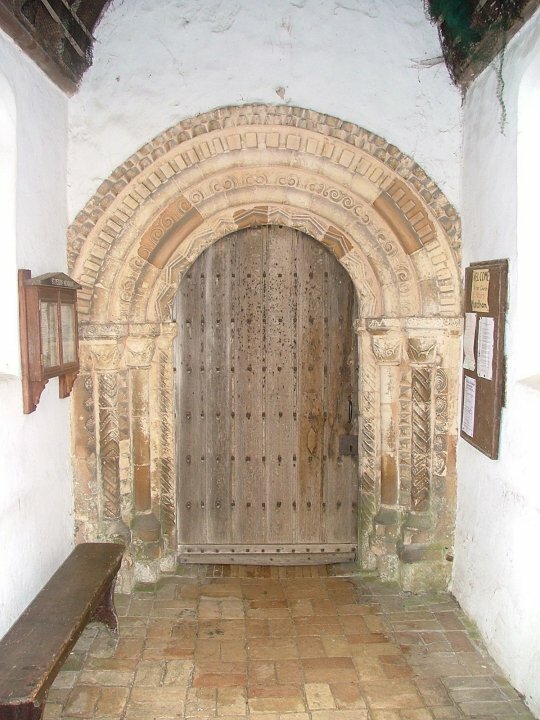 Inside, I am told there is a poorly preserved St Christopher, but not much else. Unfortunately, the keyholder was out, but I wondered why they thought they needed one. 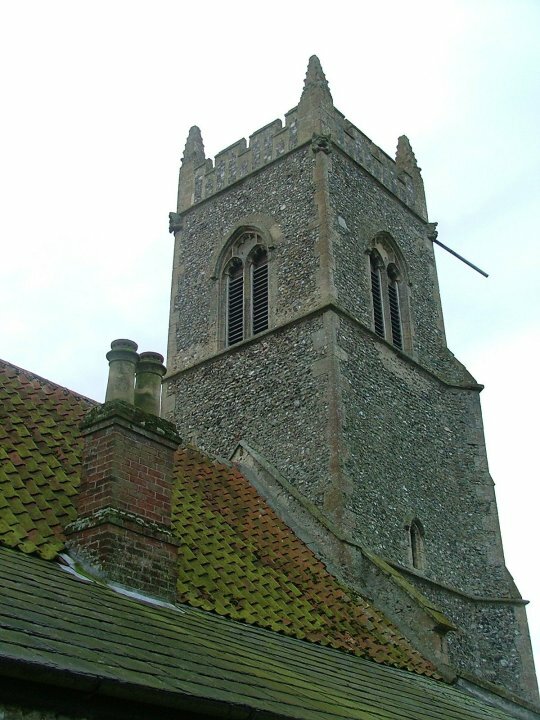 Although there are virtually no houses in the parish, the church sits very close to the former council housing along the Seething to Thurton road. On the north side, the chimney pots sticking out of the aisle roof seem curiously domestic. 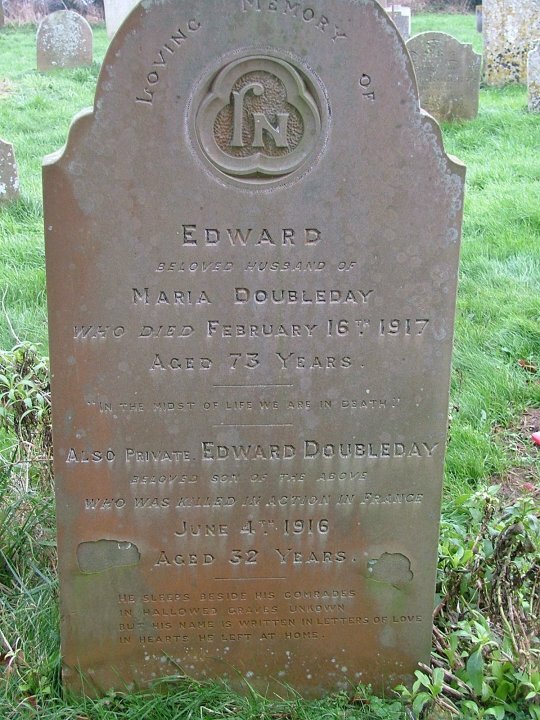 Just to the east of the church is a gravestone to Edward Doubleday, killed in France in June 1916. 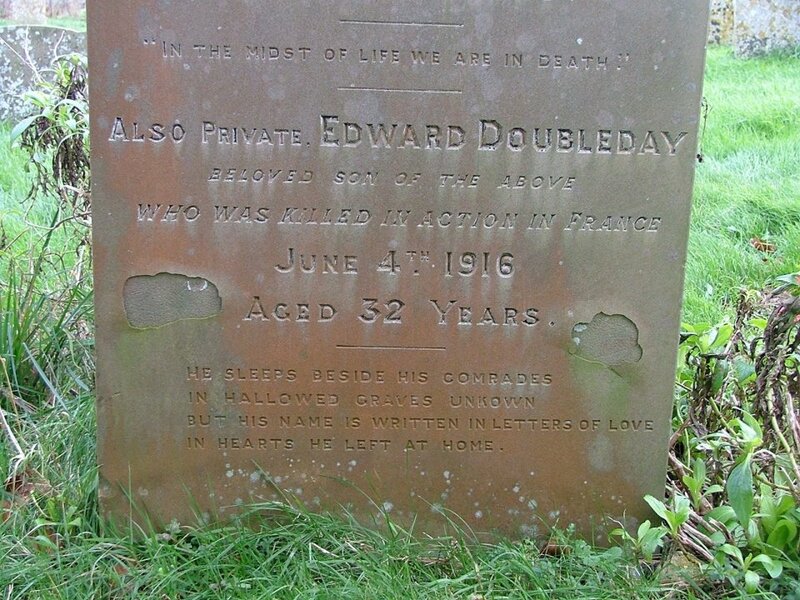 I'd read a lot just recently about the Battle of the Somme, and although Doubleday's death predated it by a couple of months, it was a moving moment.